The service animal must wait until released before coming out of the vehicle. Once outside, it must wait quietly unless otherwise instructed by the Individual. The service dog or other animal may not run around, be off lead, or ignore commands. Essentially, the animal should be unobtrusive and unloaded in the safest manner possible. After unloading, the service dog or other animal should stay in a relative heel position and not forge ahead or lag behind. The service dog or other animal should not display a fear of cars or traffic noises and must display a relaxed attitude. When you stop for any reason, the service dog or other animal should also stop. Upon entering a building, the dog or other animal should not wander off or seek attention from the public. The service animal should wait quietly until you are fully inside, then should calmly walk beside you. The service dog or other animal must not pull or strain against the lead or try to push its way past the individual but should wait patiently while entry is completed. Once inside a building, you and your service animal should be able to walk through the area in a controlled manner. The service dog or other animal should always be within touching distance where applicable or no greater than a foot away from you. The service dog or other animal should not seek public attention or strain against the lead (except in cases where the service dog or other animal may be pulling your wheelchair, if applicable). The service animal should readily adjust to speed changes, turn corners promptly, and travel through a crowded area without interacting with the public. In tight quarters, such as store aisles, the service dog or other animal must be able to get out of the way of obstacles and not destroy merchandise by knocking it over or by playing with it. You should be able to sit your dog or other animal, leave it, travel six feet, then turn and call the service dog or other animal to you. The service animal should respond promptly and not stop to solicit attention from the public or ignore the command. The service animal should come close enough to you to be readily touched. The recall should be smooth and deliberate without your animal trudging to you or taking any detours along the way. Your service dog or other animal must respond promptly each time you give it a sit command, with no more than two commands with no extraordinary gestures. After your service animal follows the down command, food should be dropped on the floor. Your service animal should not break the down to go for the food or sniff at the food. You may give verbal and physical corrections to maintain the down, but without any extraordinary gestures. The second down will be executed, and then an adult and child should approach your dog. The service dog or other animal should maintain the down and not solicit attention. If the child pets the animal, the service animal must behave appropriately and not break the stay. The individual may give verbal and physical corrections if the service dog or other animal begins to break the stay. Your service dog or other animal may acknowledge nearby noises, but may not in any way show aggression or fear. A normal startle reaction is fine (the service dog or other animal may jump and or turn), but the service dog or other animal should quickly recover and continue along on the heel. The service dog or other animal should not become aggressive, begin shaking, etc. While seated at a dining table (restaurant or other suitably alternative location), your service dog or other animal should go under the table or, if size prevents that, stay close by the individual. If the service animal is a very small breed and is placed on the seat beside you, it must lie down. The service dog or other animal must sit or lie down and may move a bit for comfort during the meal, but should not be up and down a lot or need a lot of correction or reminding. While your service animal is on the leash, drop the leash while moving so it is apparent to the animal. You should be able to maintain control of the service animal and get the leash back in its appropriate position. This exercise will vary greatly depending on your disability. 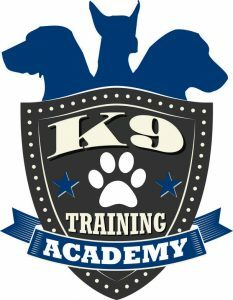 The main concern is that the service animal be aware that the leash is dropped and that the person is able to maintain control of the animal and get the leash back into proper position. When you leave a building with your service dog or other animal on leash, the animal should be in appropriate heel position and not display any fear of vehicle or traffic sounds. 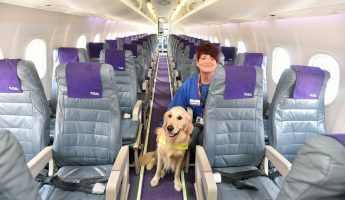 Essentially, all domestic airlines are required by federal law to allow a service or emotional support animal to accompany their disabled handler inside the cabin of the aircraft, except when the size of the dog is prohibitive. 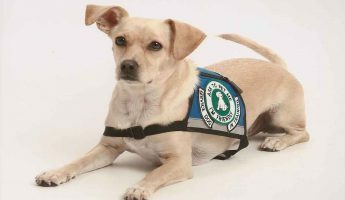 Some airline websites aren’t as obvious as others to find service dog and ESA policies, such as Alaska Airlines and Horizon Air, which, at first glance, address only vision and hearing related assistance animals. You must scroll down and find a specific link for “Traveling with service animals” (or similar) to read about service and emotional support animals. 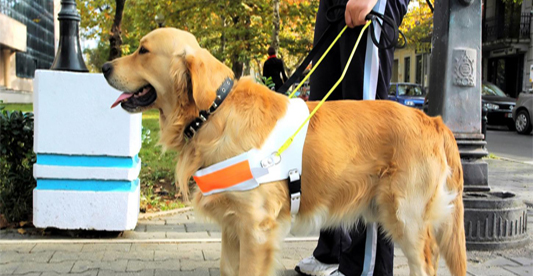 Not All Disabilities Are Visible Most people think of a service dog as a large breed dog for the blind or for working with a person confined to a wheelchair. The reality is that the majority of certified service dogs are small dogs that perform tasks for otherwise normal people with disorders related to emotional, psychological, hearing, seizure, diabetic, or for other medical issues – disabilities that are completely invisible. Many people aren’t aware that they qualify for a certified service dog or other animal because they don’t realize the problems they have are considered a disability.